LINE, making full use of their cute and adorable looking cartoon characters, is taking it up another notch. After they abundantly shove their stickers (with so many packages over so many vacations) to their users’ thumbs, they opened up a pop-up store in malls, selling doll and figurines priced up to US$400. And now, they are ready to conquer your phone screen with more of those cute faces. Brown, Cony, James, Moon, and all of their acquaintances will take place of THEME ICONS. Yes, those standby screens and menu icons on your phone. LINE Deco. That is the name of the feature (i supposed it’s from Decoration or Decorative). It lets you replace not just the default app icons, but also your wallpaper with matching ones. LINE announced that it will offer more than 3000 icons and wallpapers to be used by their 400 millions users. This concept is most definitely not popular in the Western hemisphere such as the US, where simplicity and sleekness of Android and iOS default icons are much appreciated. BUT, seeing the success of the aforementioned pop-up store, this particular feature might spread like wildfire in Asia, especially Southeast Asia, and specifically Indonesia (where the pop up store was erected). Southeast Asia has always been a great market for LINE, contributing most of its monthly $10 million revenue from stickers only. 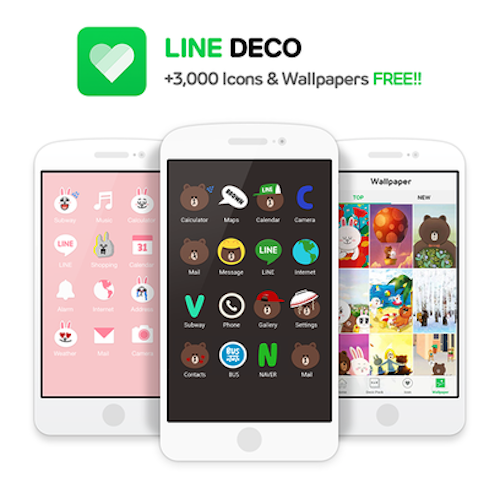 LINE Deco seems like a good deal, offering free icons and wallpapers until the end of April. Also, do not worry. They are not replacing your icons; they simply make shortcuts of your default apps. So, if you want to move back to the sleek simplicity of the default icons, you can simply delete those shortcuts, no strings attached (just so you know). One “minor” note, though. If you are an iOS user, you will have to make a “profile” specifically to help this app tweak the displays. Even though we are sure about how trustworthy LINE corporation is, the concern of one’s iOS profile being a possible threat to security cannot be overlooked. Several security analyst showed their concerns, saying that these profile compromisations can be a start of a Malware wave in iOS. Previously, LINE had to remove its gifting feature from Apple devices based on this very concern. 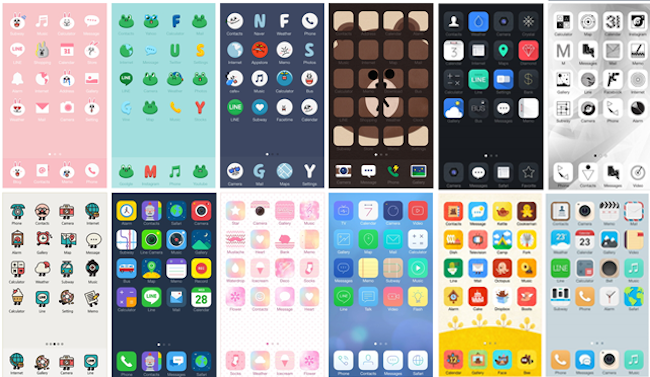 Regardless of the pros and cons on the iOS system, LINE Deco sure seems like a must-have app for those of you who love to stare at your home screen without actually going onto any app. Not me. Also read: Messaging app LINE to organize Singapore’s FIRST Pop-up store in April!